30% off all Roman blinds - hurry! Available in a spectrum of beautiful colours and shades, our made to measure roller blinds combine style and practicality while covering a full range of functions. Aluminium blinds are the perfect contemporary style statement and importantly offer great control over privacy and light. Bring the natural beauty of the outdoors into your home or office with wooden blinds. Available in a number of shades, stains and colours. Vertical Blinds offer maximum flexibility and creativity. The innovative design allows the louvres to be drawn neatly back to the side to offer clear views. Roman blinds are suited to any area of the home especially bedrooms and lounges with their soft luxury look. Installing interior shutters in your home will give your rooms a touch of luxury, possibly even inspiring a whole new look. Duplex blinds filter light into a room using a two-phase system that switches from dim out to sheer. Daffodil Blinds is an independent business that provides its customers with quality blinds and window films at very competitive prices. We are able to do this because we have access to a large number of manufacturers so we can always get the best possible prices. Our reputation is important to us so our customers can always be certain of our honesty and high standards of integrity. 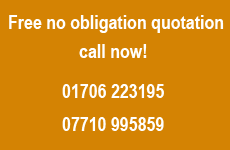 We offer a completely free measuring and no obligation quotation service. We will never try and sell our customers something they do not want. All our blinds and window films are fitted free of charge. Daffodil blinds cater for both domestic and commercial work including offices, factories, restaurants, hospital and educational establishments, we are also fully insured.